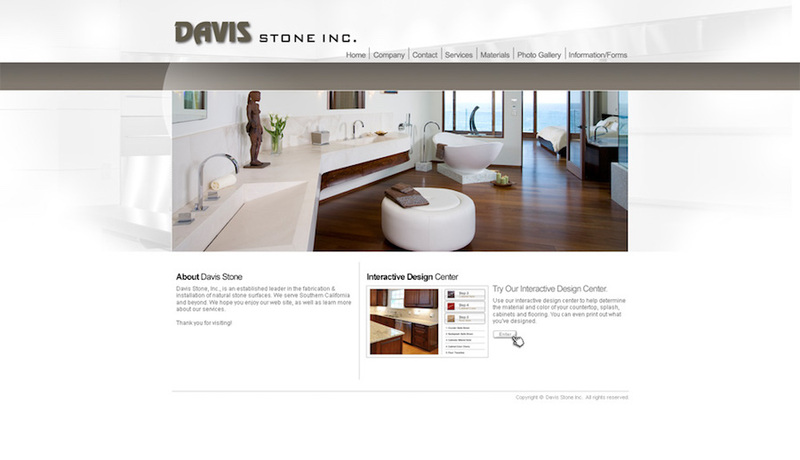 The Davis Stone Company, an established leader in the fabrication & installation of natural stone surfaces, was looking for a website that both made them standout and looked professional. 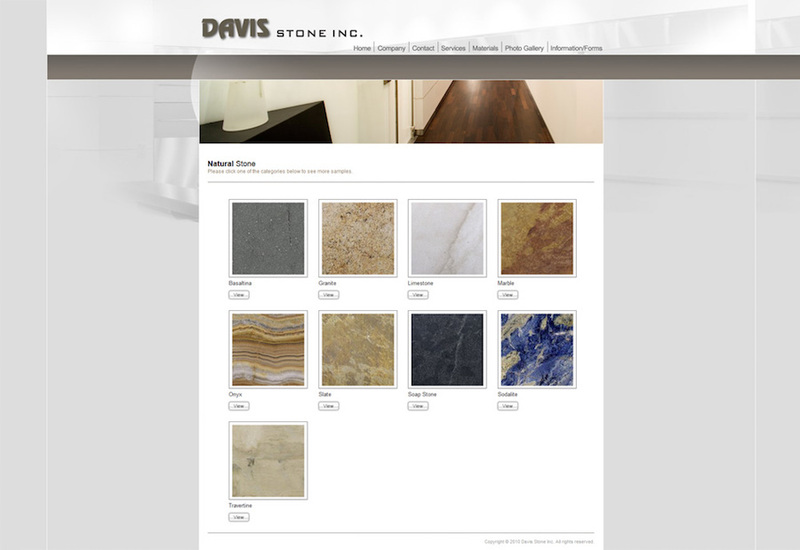 We were brought on to build an online presence that displays Davis Stone Company’s quality fabrication and wide selection of stone. 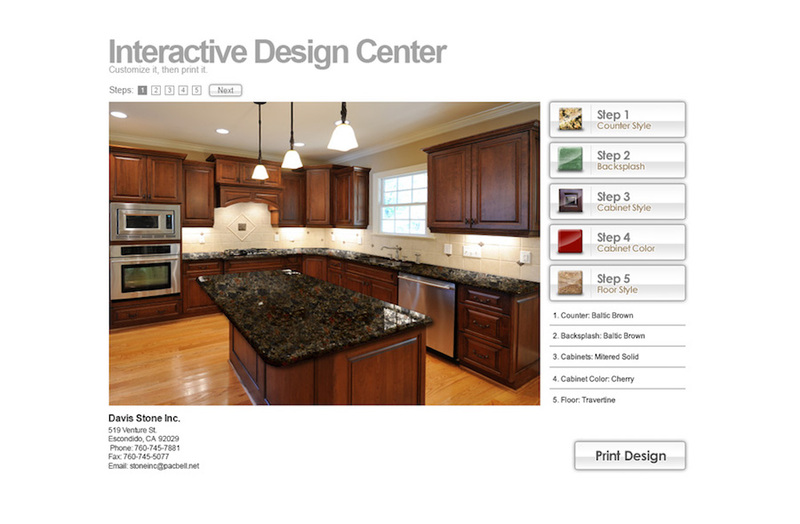 Our team built a custom website and interactive design center that allowed visitors to try different stone finishes in a kitchen environment. The result was a website that was both user-friendly and doubled the amount of time users spent on the website.